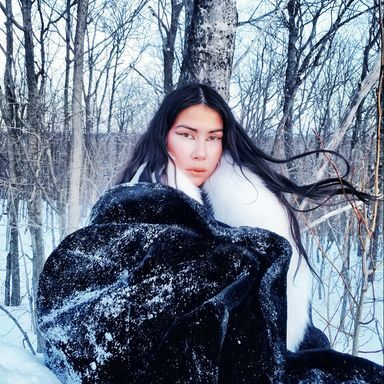 Anachnid is a multidisciplinary Indigenous Oji-Cree artist based in Montreal. Sky woman falling on earth. Her totem animal: the spider.